This current project is a collaboration across six schools in the Campbelltown and Liverpool communities (Ingleburn Public School, Macquarie Fields PS, Sackville Street PS, Warwick Farm PS, Robert Townson PS and Campbelltown Community Preschool) that have come together with the goal to establish a school-based clinic to provide Parent-Child Interaction Therapy (PCIT) – one of the most effective programs for managing emotional and behavioural problems in young children. This project will involve building the treatment room within Ingleburn PS ready for opening Term 1 2019. This will allow parents, children, and teachers from across this community to access free, tailored PCIT intervention. This programme seeks to strengthen parent, school and teacher partnerships to enable children to learn appropriate behaviours that improve their social and academic outcomes. Parents will be empowered through learning play-therapy skills to improve the quality of the parent-child relationship, and learning to use effective commands and discipline strategies to better manage child behaviour. 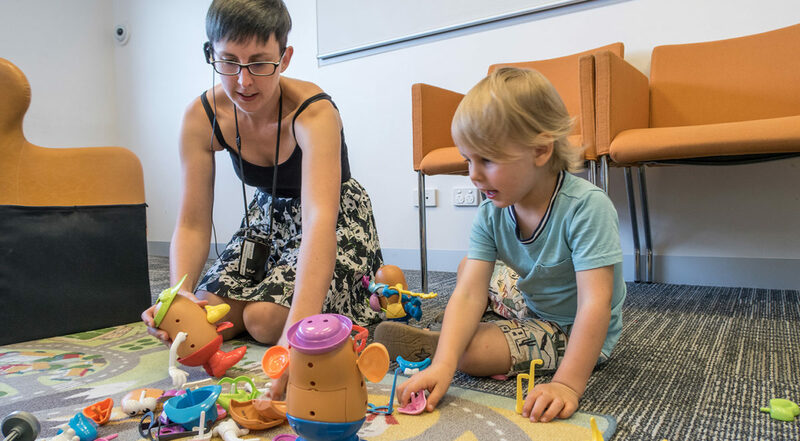 Parents will receive real-time coaching from trained PCIT therapists using a bug-in-ear device from behind a one-way mirror as they interact with their child. This means that parents get practice and feedback on their new parenting skills before taking the skills home and doing it by themselves. Teachers will be supported by in-class PCIT support services to develop skills to manage problematic behaviours within the classroom, thereby enriching the learning experience for all. PCIT support staff will collaborate with teachers to design individualised and classroom-wide behaviour management plans. How PCIT can make a difference? Untreated children with behaviour difficulties may continue to be difficult and antisocial into their adult years. These problems can negatively impact their relationships, academic and career prospects, and quality of life. Some children with childhood oppositional defiant disorder (ODD) will develop the more serious Conduct Disorder, characterised by aggressive, criminal, and violent behaviours. Many children with disruptive behaviour problems also experience other mental health problems, including anxiety and mood disorders and substance-use disorders. Many classroom teachers report they are not adequately trained to manage students with significant behavioural problems. We cannot do this alone, we need your support. Your donation will contribute to building the specialised treatment room necessary for delivering Parent-Child Interaction Therapy to families, including the special one-way mirror. With your support we can launch our program across the Campbelltown and Liverpool community. DONATE – every dollar counts. Please click here to be directed to the crowd fundraising campaign. SHARE – and rally others to donate via the social media links at the bottom of our page. Our project has also been featured in the first issue of School-Link Magazine for 2019. Please click here to take a look.